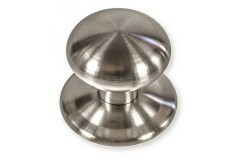 Centre Door Knobs are designed to be used simply to pull open doors. They have no mechanism or locking capability - they simply sit on the outside of the door, and allow it to be pulled open or closed. They are used as an architectural feature, usually on a panel door, and when combined with a door knocker and letter box plate can add real 'kerb appeal' to your door. 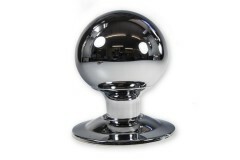 A centre door knob is larger than a standard door knob, and whereas other door knobs are purchased as a pair, these are single items, as there is no need for a second knob on the other face of the door. 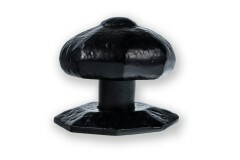 Add some smart detail to your front door with this Antique Black Centre Door Knob! 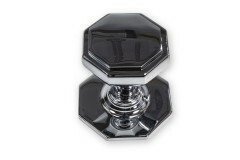 The octagonal kno..
Make a statement on your front door with this striking Ball Centre Door Knob. Beautifully smooth and.. 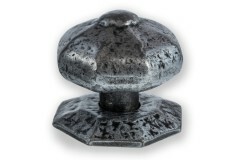 If you want your front door to make a real statement, then this Octagonal Centre Door Knob will cert..
With an attractive and interesting textured hammered finish, this Pewter Centre Door Knob is a great.. 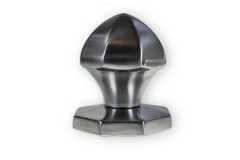 If you're looking to add some kerb appeal to your property, adding some architectural ironmongery su..
With a domed face that reminds us of a French Fancy cake, and a lovely round shape, this Centre Door.. 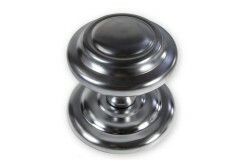 Architectural ironmongery such as this Satin Stainless Steel Contemporary Centre Door Knob is certai.. 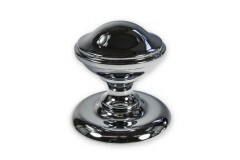 The Sloane Centre Door Knob is definitely a statement piece of architectural ironmongery, and will p..